Decimal Point 3 positions, user selectable. Enclosure Rating NEMA 1 or NEMA 4Xt model dependent IP65 front. Outputs 2 SPST relay outputs (optional). Input Range 0 to +/-10 VDC or 4 to 20 mA. 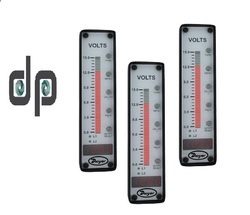 The Series BGM Digital Bar Graph Meter is extremely durable and can replace a wide range of analog meters. The 4-digit display will significantly reduce the potential for human error in reading by eliminating errors commonly produced by the viewing angle when reading analog meters. This series has a key pad that allows for easy access of features without complex menu structures. 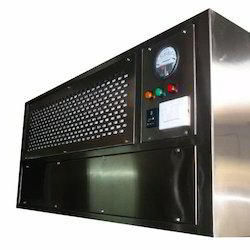 With the combined ability to create a wide range of custom faceplate and the optional NEMA 4X bezel, the Series BGM can be used in a variety of applications. The LED bar graph adds a visual indicator of the measured value so that it can be visually analyzed, preventing accidents or system failures from happening. Ceiling Suspended Laminar Flow are used for ot applications, pharma filling & packing line etc. 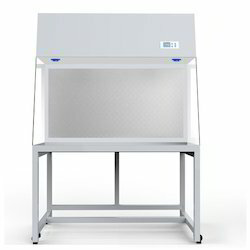 Ceiling Laminar Air Flow provides ultra clean sterile hepa filtered class 100 air in a isolated area where the highly sensitive process activities are carried-out. 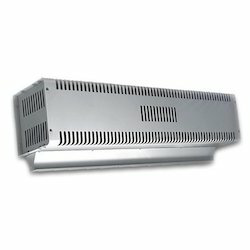 Ceiling Laminar Air Flow available in complete stainless steel construction or gi construction with pu coated finish. 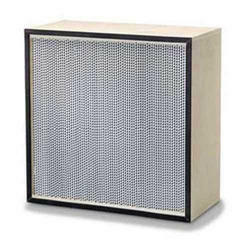 Equipped with mini pleat hepa with dynamically balanced ultra-low noise blowers for optimum airflow. We are one of the prominent manufacturers of highly efficient Horizontal Laminar Flow Cabinet which is appreciated for its performance. It is used in applications like industrial, medical, pharmaceutical and bio-tech research. These are manufactured from S.S. 304 with due reinforcement for better performance and stability. HEPA Filter Housings are standard module constructed casings, designed to fit all types Pre, Fine, Pocket, Compact, HEPA Filter Housings. 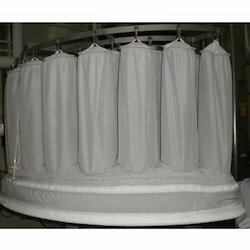 We offer a vast range of unmatched Fluid Bed Dryer Bags which are easily available in different sizes as per the client's requirement and standard OEMs. These dryer bags exhibit various top-ranking properties in a cost-effective manner. We supply these bags to various industrial applications like pharmaceuticals, food processing, pharmaceuticals, and additives. We bring these ranges in bulk for our customers with economical rates. 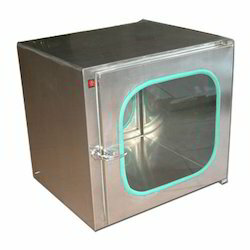 We have a strong hold in the market for manufacturing and supplying of Interlocking Pass Box that is offered with a mechanical interlock system that prevents both doors from being opened at the same time; thus, it helps to minimize the amount of particulate contamination entering the clean room and also reduces the operator traffic. 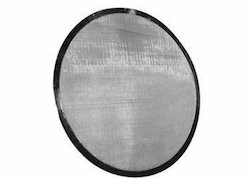 We offer Silicon Moulded Sifter Sieve.These are available in various sizes from 12" to 48" diameter. The most common size used is 20" diameter (550 mm) & 30" diameter (750 mm). 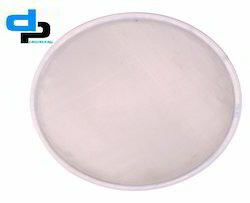 The silicon which is of food grade quality, transparent in appearance, non-toxic is moulded on the stainless steel ring. 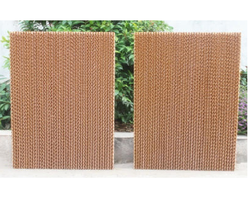 These are available in riveted and special non-riveted design, the mesh sizes varies from 4 mesh to 500 mesh with a. S. T. M & b. S. S standard being certified on 90 x microscope, with complete set of certificates, the sieves without silicon moulding are also available. 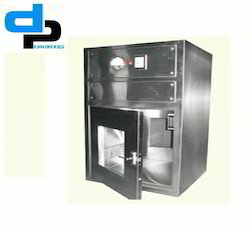 We manufacture SS Sifter Sieves in SS 304 and SS 316 with Silicon Molded / without Silicon molded. Catering to the varying expectations of our esteemed clients, we are offering SS Air Curtains which are manufactured by our diligent professionals implementing sophisticated technologies. These curtains are fabricated using stainless steel which assure reliability for a longer service life free from damages. As far as its applications are concerned, these curtains are used to stop the escape of conditioned air of the room. In order to maintain the cooling of the area, they prevent the hot air of outside to enter. They also assists to maintain the cleanliness and hygiene of the areas along with maintaining cooling. We supply these SS Air Curtains in Baddi, Nalagarh, Solan, Ludhiana, Jalandhar, Amritsar, Mohali, Zirakpur, Chandigarh, Parwanoo and other region of Punjab, Haryana and Himachal. 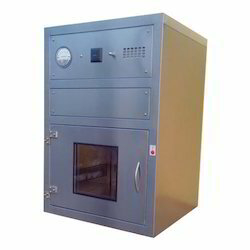 Looking for Clean Room Equipments-Suppliers,Manufactu in india ?